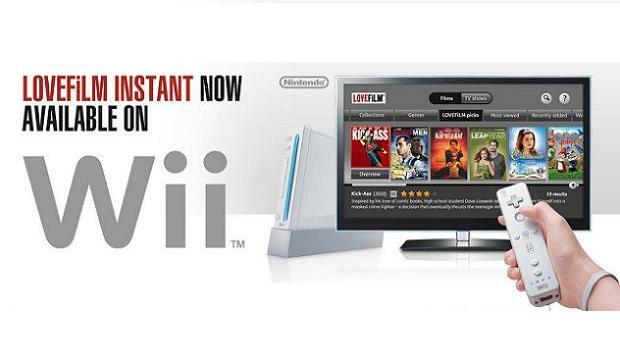 Wii owners can now enjoy instantly streaming movies and TV shows through use of a dedicated LOVEFiLM application, with the Wii U version to follow shortly. Pricing for unlimited packages to LOVEFiLM Instant start at £4.99 a month, with the latest additions to the service including films such as Sherlock Holmes, Inception, and The Twilight Saga: Breaking Dawn – Part 1, and TV series like Downton Abbey and Grey’s Anatomy. To use the service, you’ll be required to download the LOVEFiLM application from the Wii Shop Channel for free. Once installed, subscribers will then be able to watch, search, browse, rate and review titles from the catalogue. Jim Buckle, managing director at LOVEFiLM, adds “Launching on the Wii, combined with our impending arrival on the Wii U, is great news for our members. “The Wii is a console for the whole family and with our vast catalogue of kid’s and family-friendly films and TV shows there’s more for everyone to enjoy at LOVEFiLM compared to any other subscription service.